Country Health SA Local Health Network (CHSALHN) provides high quality, safe and innovative health services to rural and regional South Australia. 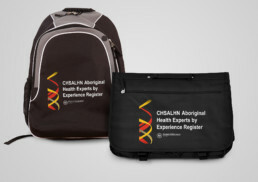 Dreamtime Creative produced a number of promotional items to create awareness for CHSALHN including backpacks, tote bags, USBs, pens and highlighters. 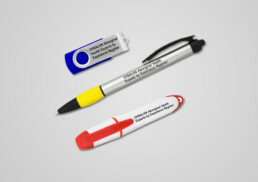 The artwork featured on the items adhered to the CHSALHN branding guidelines.